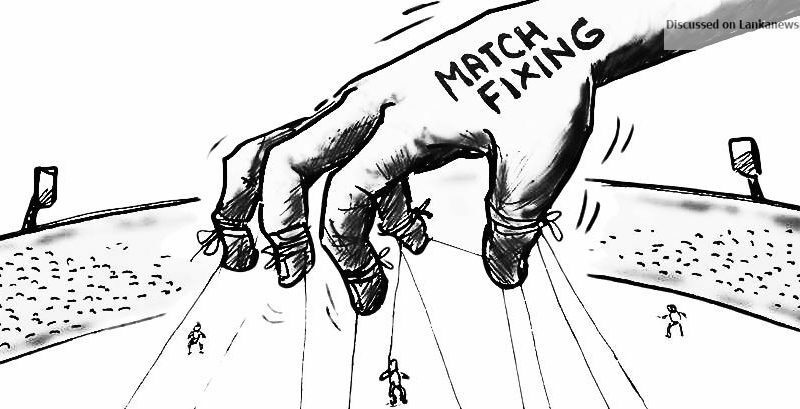 commits the offence of match fixing in sports. to influence improperly the result, progress, conduct or any other aspect of any sport or sporting event, commits the offence of corruption in sports. commits the offence of unlawful betting in sports. (b) approaches, induces, influences, encourages. enables or facilitates any person connected to a sport to commit any offence specified in section 4, 5″ or 6.. Punishment : Any person who comm its an offence specified in section 4, 5″ 6 or 7 shall on conviction be liable to a fine not exceeding rupees one hundred million or to imprisonment for a period not exceeding ten years or to both such fine and imprisonment.